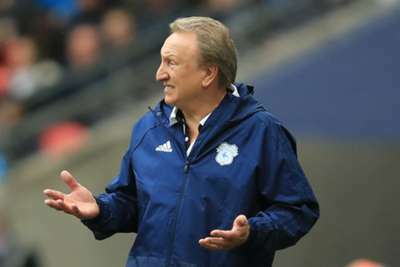 Cardiff City are favourites for relegation from the Premier League and manager Neil Warnock has admitted he would not put money on his side staying up. The Bluebirds sit bottom after the opening eight matches of the 2018-19 season after two draws and six defeats. Fulham travel to South Wales on Saturday as Cardiff look to end a run of six successive losses, with Warnock's men having only scored five goals all season. Such a miserable run of form suggests it could be a long campaign for Cardiff and their fans, and Warnock did little to lift any hopes of retaining their top-flight status. When asked whether he would put money on Cardiff's survival, Warnock told a media conference: "No, I wouldn't – not if I was a betting man. I would put other people's money on it. "But I would not have put a penny on us last year getting promotion. I would have said keep your money in your pocket. Don't be stupid. "Some people won quite a lot of money, though. Some people might win an awful lot of money this year." He added: "We know where we are. The lads have to decide: do we want to stay in the Premier League, as a player or as a manager or a club? 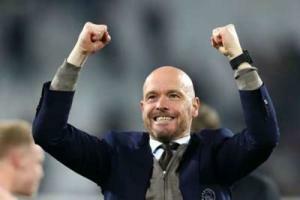 "We have an opportunity even though it looks bleak at the minute. We are 1/4 now [with the bookmakers]. So, they have already thrown us away to the wolves. "We have three out of four home games this month, which are vital. We have to get points in those games to get us up that table and put us back in the pack, because there are quite a lot of teams struggling this season. "We've had opportunities to get a lot more points that we have. But we have to grasp that opportunity now. We can't keep saying the same story."